In this image, the theme is all about scale and the vastness of the desert environment. 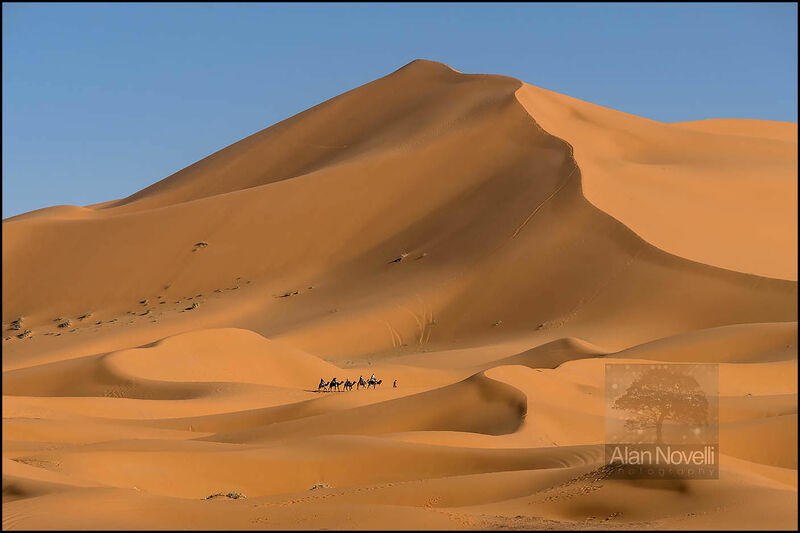 I had spotted this Camel Train making its way from left to right below the tallest dune in this location. The camels and people seemed so insignificant out there against the sea of orange... but that was exactly the point. The light is not as good as the other Erg Chebbi images shown in this gallery, but there is still just enough shadowing to make the image work.